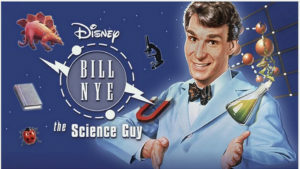 Any kid from the 90’s remembers Bill Nye the Science Guy, who made science “cool” with his TV show. While most “edutainment” was forced and awful, Bill Nye crushed it getting an entire generation hooked on science. Now Bill is back with an all new show that will have you chanting “Bill! Bill! Bill! Bill!” Oh, the nostalgia! Netflix has released “Bill Nye Saves The World” an updated version of his iconic kids show but “for adults”. It’s still full of Bill’s patent puns and corny gags and the topics are relevant in today’s world. 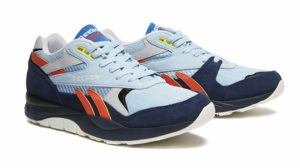 It’s also full of… sneakers! 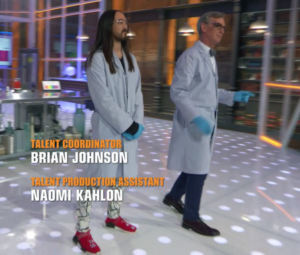 In the second episode, Steve Aoki guest stars rocking some Pharrell Williams x Adidas Human Race NMD’s and in Episode 10 Bill Nye explains that we wouldn’t have Air Jordans without NASA. If you have a nostalgic streak, scientific curiosity or are interested in “saving the world” give Bill Nye Saves The World a watch. 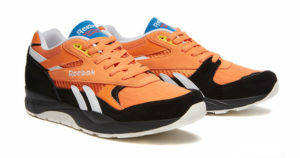 And if you still believe that science not only matters… it “rules”, you can rock the NASA inspired Ventillator Supreme “Space Race Pack” on sale for only $40 in Orange and Blue. I’m sure Bill would approve. 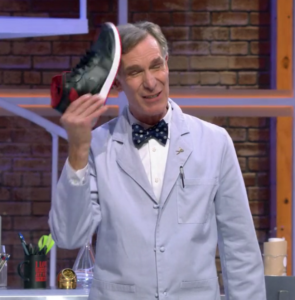 Meanwhile, enjoy our Bill Nye Trash Jordans gif, perfect for letting “sneaker twitter” know what you really think.